U.S. defense ties to the states of the Gulf Cooperation Council (GCC: Saudi Arabia, Kuwait, United Arab Emirates [UAE], Qatar, Bahrain, and Oman) are extensive and since their inception have evolved in many unintended ways not always attuned to U.S. interests. 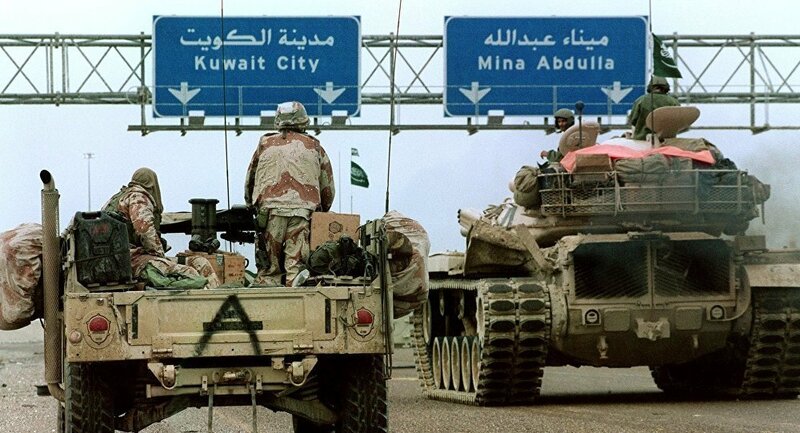 Prior to Saddam Hussein’s invasion of Kuwait in 1990 U.S.-GCC cooperation was limited and informal, but became more sweeping and extensive in the aftermath of the early 1991 U.S.-led expulsion of Iraqi troops from its Gulf neighbor. During 1991-1994, the U.S signed successive formal defense contracts with Kuwait, Bahrain, Qatar, and the UAE, which reportedly provided for U.S. security advice, training, access to major Gulf defense facilities (such as Al Udeid air base in Qatar and Al Dhafra air base in the UAE), and the prepositioning of U.S. military equipment, including enough armor to outfit several U.S. brigades. These pacts built on a 1980 U.S.-Oman agreement that gave U.S. forces access to Oman’s air bases, and a longstanding memorandum of understanding with Saudi Arabia that established U.S. mentorship over the Saudi military and National Guard. Since shortly after World War II, the U.S. naval forces in the region have been headquartered at the large “Naval Support Activity” port in Bahrain, an arrangement formalized in the U.S.-Bahrain defense cooperation agreement of 1991. However, what is now a deeply institutionalized US military presence in the region has not always been an inert fact so easily taken for granted. Initially, the United States intended for U.S.-Gulf defense cooperation simply to deter further acts of Iraqi aggression. During the 1990s about 6,000 mostly U.S. Air Force personnel were stationed at air bases in Saudi Arabia to lead Operation Southern Watch, which enforced a no-fly zone over southern Iraq. With Iraq becoming largely contained, U.S.-GCC defense cooperation transitioned gradually to focus more on Iran, particularly after it became clear in 2002 that Iran had built facilities to enrich uranium, setting off fears that Iran might be developing the capacity to acquire a nuclear weapon. As the U.S.-Gulf focus shifted to Iran, U.S. arms sales to the GCC states centered increasingly on missile defense systems such as the Patriot and the Theater High Altitude Air Defense system (THAAD), as well as on new and upgraded combat aircraft, including the F-15 and F-16. Sales of ground armor, such as the Abrams tank system appeared to constitute less of a priority, in large part because the threat of Iraqi ground invasion diminished with the 2003 overthrow of Saddam Hussein, and Iran has never had the capability to project conventional force across the Gulf. Despite going well-beyond this initial scope, these defense pacts have gone on to reveal themselves to be pivotal for several major recent U.S. military operations in the region. 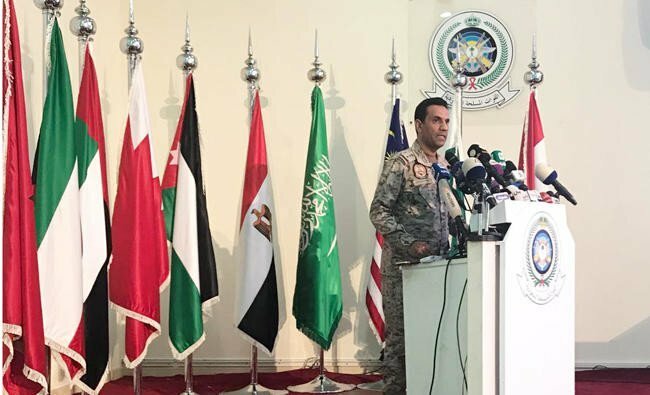 The strategic benefits were not limited to the United States either, as these joint military operations gave burgeoning GCC forces the opportunity to develop their capabilities by going into battle alongside the more experienced and highly effective U.S. military. After the September 11, 2001 Al Qaeda attacks on the United States, U.S. forces stationed in the GCC states quickly assembled Operation Enduring Freedom in Afghanistan, which saw participation from security forces in Bahrain and the UAE in the subsequent efforts to stabilize Afghanistan. U.S. forces used armor prepositioned in Kuwait and Qatar to launch Operation Iraqi Freedom in March 2003, which were crucial in ultimately overthrowing Saddam Hussein’s regime in Iraq. Over the subsequent years, U.S. force levels in the Gulf grew to about 13,000 mostly U.S. Army troops deployed in Kuwait, nearly 10,000 mostly Air Force personnel in Qatar, about 5,000 mostly Navy personnel in Bahrain, and about 5,000 U.S. forces in UAE. This U.S presence not only served to contain Iran, but also participated in Operation Inherent Resolve, a Kuwaiti-headquartered operation that in 2014 began to turn back the advances made by the Islamic State (ISIS). Air forces from the UAE, Saudi Arabia, Bahrain, and Qatar flew strikes against ISIS in Syria alongside U.S. pilots. In 2011, several Gulf air forces assisted the successful U.S.-led effort to provide air support to forces opposed to Libyan leader Muammar Qadhafi. Even with these instances of cooperation and the tangible benefits received by both the US and the GCC, the support and mentorship by the United States enabled and apparently emboldened some of the GCC states to undertake regional military operations independent of the United States, and in some cases, inconsistent with U.S. wishes and strategies. Most notably, in March 2015, Saudi Arabia and the UAE assembled an Arab coalition to intervene in Yemen’s civil war, an operation to which the United States has given only modest and halting logistical support. The United States has criticized the Saudi-led coalition for occasional mistaken strikes on civilians and, on October 31, Secretary of State Pompeo called on the coalition to immediately support U.N. efforts to resolve the conflict. The UAE has intervened in Libya by providing air support to former Libyan military leader Khalifa Haftar, who controls much of eastern Libya in defiance of the U.N.-backed government in Tripoli. UAE operations in Libya have included airstrikes against Muslim Brotherhood-linked factions, strikes that the United States criticized as unhelpful to Libyan stability. The UAE has also felt sufficiently emboldened to project power well beyond its borders by developing military bases in the Horn of Africa, including in Eritrea and breakaway Somaliland. Even though some of the GCC states have gone beyond the envisioned level of coordination with the United States, extensive U.S.-GCC defense cooperation will continue indefinitely with the primary objective to contain Iran. 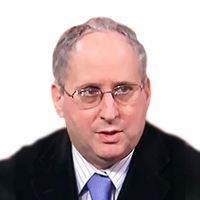 At the same time, the United States is likely to work with GCC states to ensure that they undertake only regional operations that further both U.S. and GCC interests.